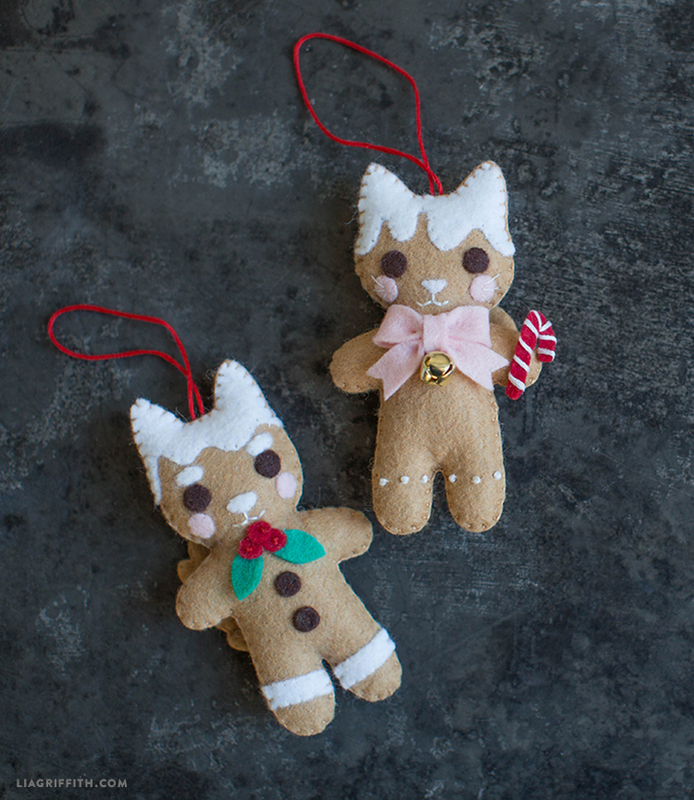 Have fun with felt and craft a few of these adorable gingerbread animal ornaments. 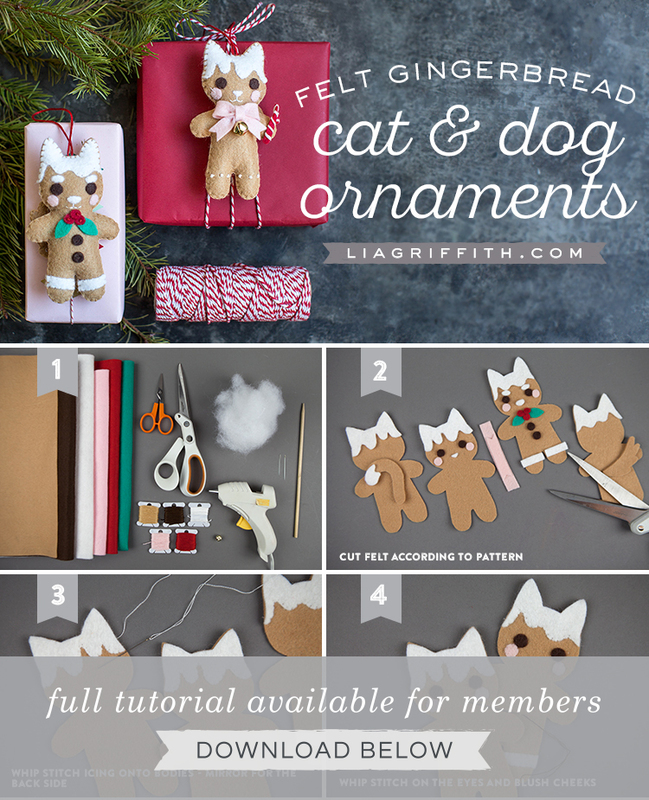 We’ve created a step-by-step photo tutorial to make your crafting even simpler. 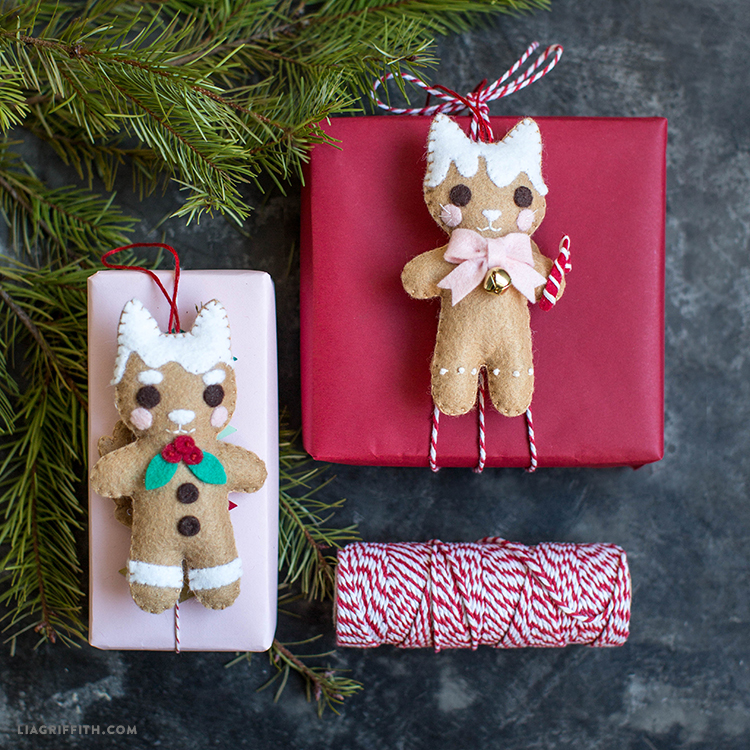 For help sewing French knots, watch our helpful video tutorial below. 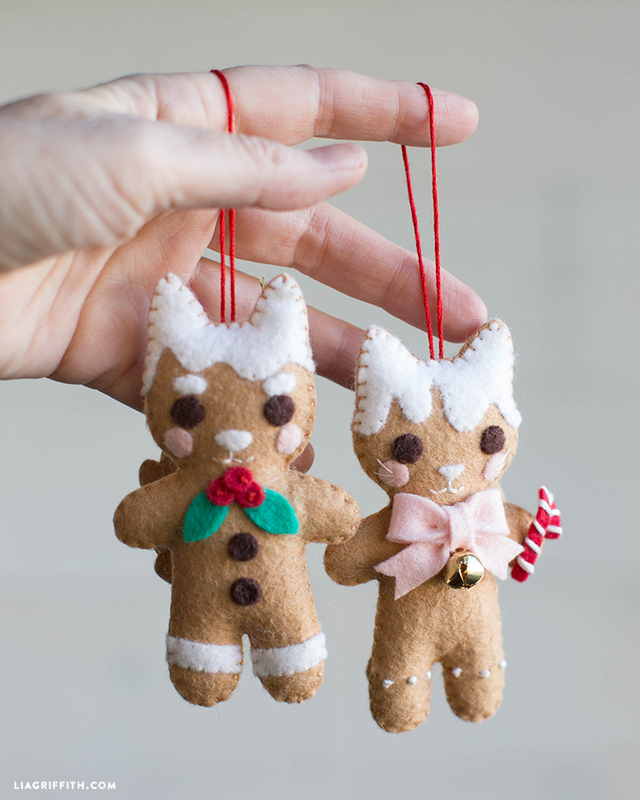 Make a few of these cuties for your own tree or craft some to be given as gifts! Cut your felt according to the pattern. 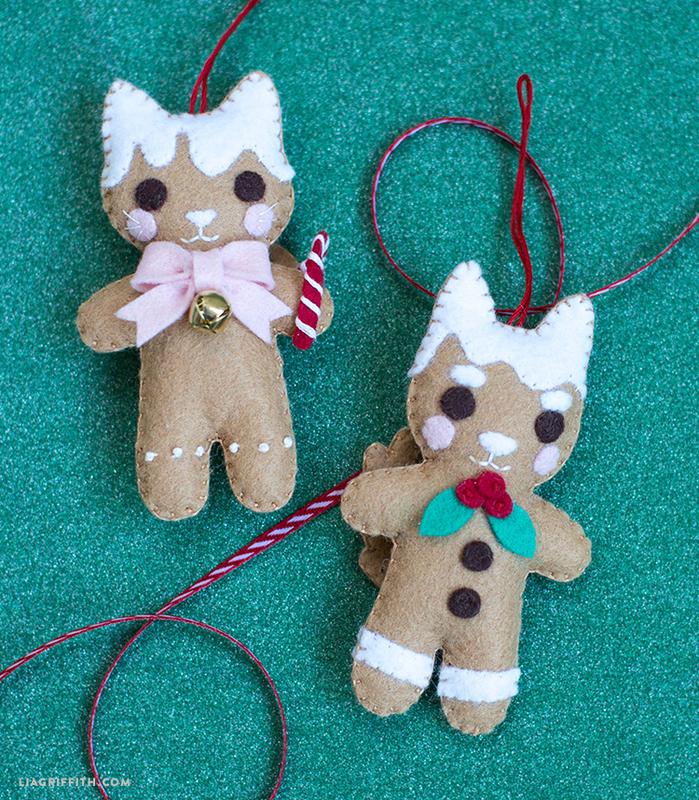 Whip stitch the icing onto the heads and the tail of the cat (see embroidery guide for reference). Mirror this for the back sides. Next, whip stitch on the eyes and blush cheeks.